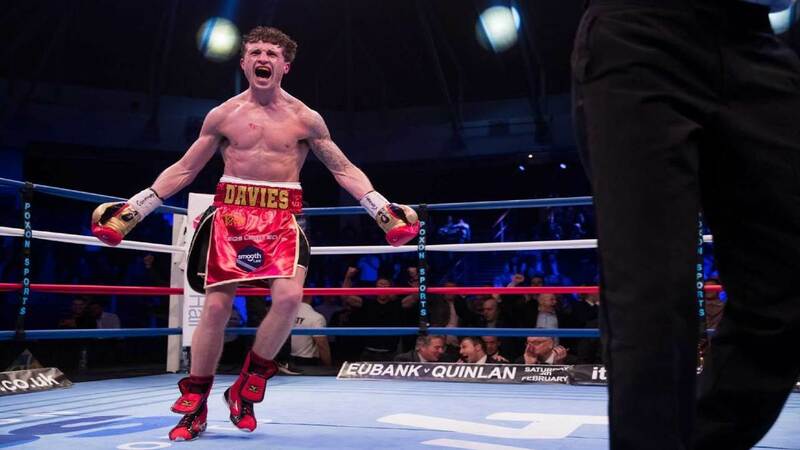 Matchroom Sports signed Super-Lightweight talent Robbie Davies Jr.
Matchroom Sports has been making some smart and effective moves in boxing. The latest news is the signing of Super-Lightweight prospect Robbie Davies Jr. (16-1, 12 KOs) to a three fight deal. The 28-year old was undefeated moving up the division ranking ladder and won the WBA Continental title. However, he suffered his first defeat to Michal Syrowatka in 2017. In March of 2018 he would get his revenge in the same fashion, regaining the same title he lost. The victory put him back on track and showed his mental toughness. Most fighters wouldn’t take an immediate rematch after losing in the way he did. Next is a possible domestic showdown with Glenn Foot (23-3, 7 KOs) for the vacate British Super-Lightweight Commonwealth belt. Foot is no stranger to the UK boxing community. Back in 2013 he won the Matchroom’s quick-fire Prizefighter tournament and is a former Commonwealth champion. Going into this fight he will be the more experience fighter coming off of a two fight win streak. This fight will now be apart of Matchroom Sports and Eddie Hearn deal.The fight takes place in Newcastle making this their second visit.